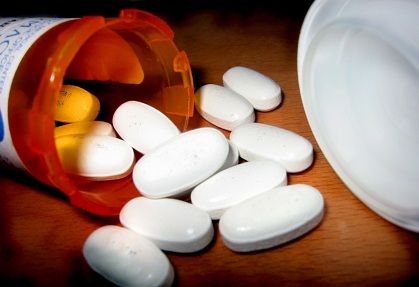 Prescription drug abuse is a growing problem in our area and throughout the United States. Most people who abuse these drugs believe that they are safe due to the fact that they are legal and a doctor prescribes them, this is not the case. There are very serious effects prescription drugs can have on an individual which is why they are only given supervised by a doctor. Depressants: These drugs slow the brains functions and include sedatives (to make someone drowsy) and tranquilizers (to reduce anxiety). Examples include: Xanax, Valium, Halcion, Librium, Ativan & Klonopin, Amytal, Seconal & Phenobarbital. Opioids & Morphine Derivatives: Mostly considered pain killers. Examples include: Tylenol with Codeine, Empirin with Codeine, Roxanol, OxyContin, Percodan, Dilaudid. Stimulants: intended to improve energy & alertness but also increase blood pressure & heart rate. Examples include: Ritalin, Concerta, Biphetamine & Dexadrine. Antidepressants: used in the treatment of depression and other psychiatric treatment. Examples include: Prozac, Paxil, Celexa, Zoloft, Effexor & Remeron. Effects on the body vary depending on the category of the drug and if the person is mixing with other drugs (which is highly dangerous).